As Deep State operatives continue to drain hundreds of millions of government dollars from Washington, DC, radical Islamic terrorists are on the way to pay back satanic America by attacking the nation’s transportation systems, threatening to kill hundreds of thousands of Americans. However, all proceeds from eBooks purchased directly on this site go to worthy nonprofit organizations. In a deadly serious game of hide-and-seek, Gene Holmes and his Snow Leopard team, working for America’s National Security Advisor, are working desperately to identify the threat and stop the attack. 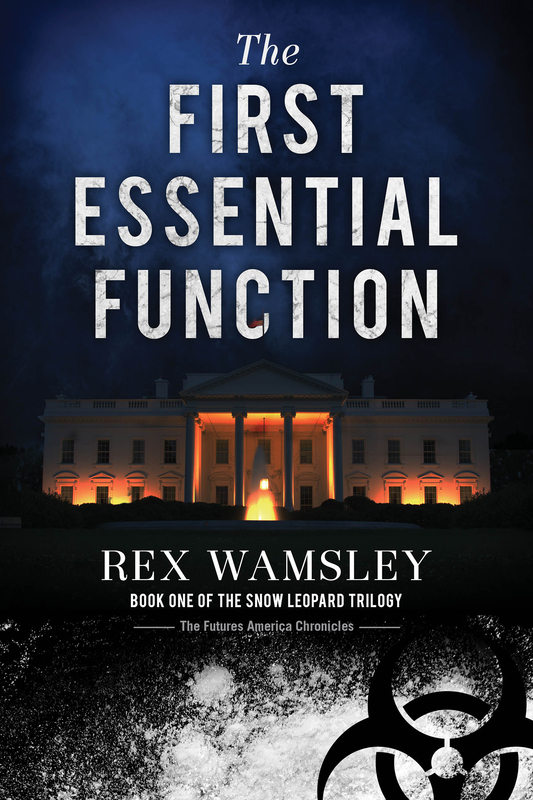 In this heart-pounding first novel of the Snow Leopard Trilogy, Rex Wamsley, a Founding Member of the U.S. Department of Homeland Security, leads the reader from the Deep State corruption in Washington, to the killing fields of the Middle East, and across America. 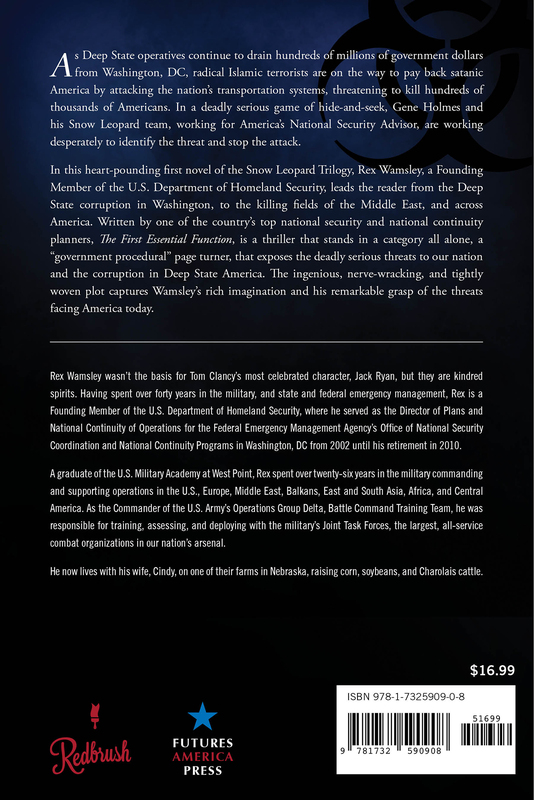 Written by one of the country’s top national security and national continuity planners, The First Essential Function, is a thriller that stands in a category all alone, a “government procedural” page turner, that exposes the deadly serious threats to our nation and the corruption in Deep State America. The ingenious, nerve-wracking, and tightly woven plot captures Wamsley’s rich imagination and his remarkable grasp of the threats facing America today.